The ‘Issued’ meetings have become one of the hottest tickets on the horological calendar. 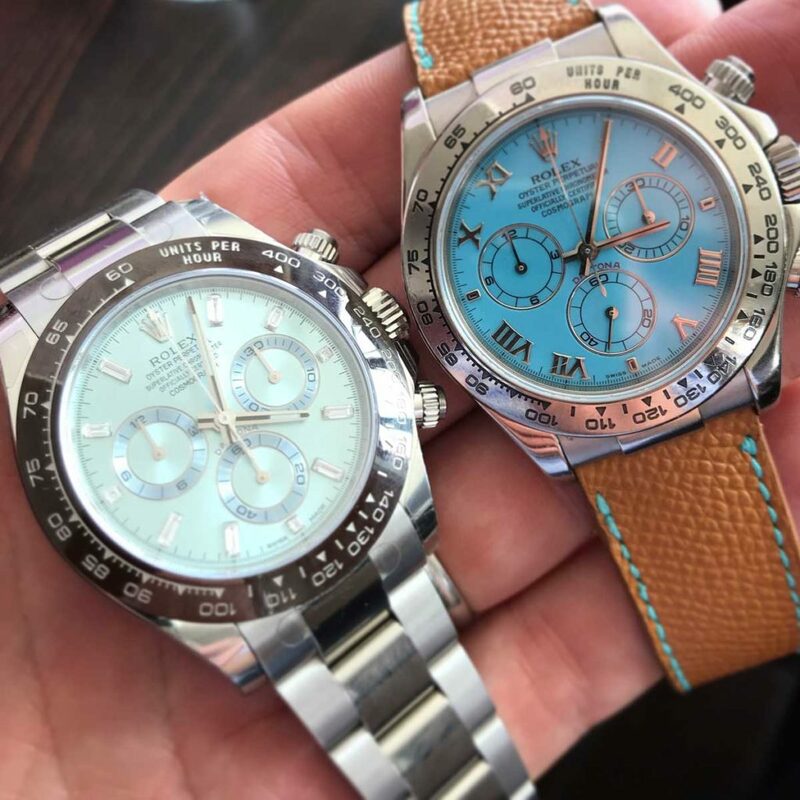 The bi-annual event was founded by vintage Rolex and renowned MilSub experts Mike Wood and Jed McCormack and is focused, primarily, on Rolex watches that were issued. British MOD issued MilSubs, Comex Submariners and Sea-Dwellers, Tudor MilSubs and Middle East presentation watches are always a particular focus as well as military watches from Omega and Lemania, amongst others. 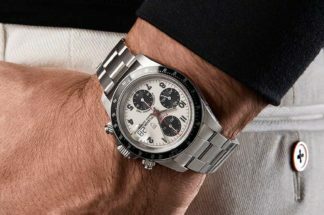 But anything goes…even blinged out Day-Dates and a particularly popular Rolex Daytona Beach! One of the extraordinary aspects of these meetings are the sheer number of people that travel from all over the world to join like-minded passionate collectors of special watches. 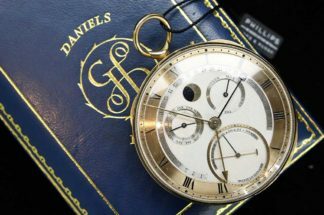 In a world where vintage watches are becoming ever more valuable and sought after, it’s testament to the attendees’ love of sharing these watches that so many incredible watches are brought to the event from literally all over the globe. Issued 3 had representation from the UK, US (New York, Texas and Florida), Holland, Belgium, Hong Kong, Indonesia, Australia, France, Sweden, Singapore and many more nations! The British Ministry of Defence used both Omega Seamasters and Rolex Submariners to issue to their forces. Whilst the Rolex Submariners have always been king amongst collectors, the issued Omega SM300 is catching up and prices at recent auctions have been strong. 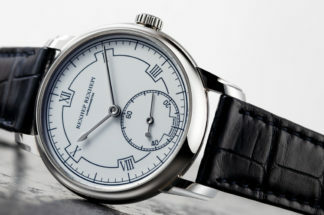 Both featured the so-called sword hands, 60 minute bezel inserts, fixed lug bars (thus worn on nylon nato straps) and the iconic ‘circled T’ on the dial. And they were out in their droves. At one point there was a table shot that comprised 22 Rolex Military Subs covering all three references – 5513, 5517 and the double reference 5513/17. Comex watches were also astoundingly well represented. Comex are Compagnie Maritime d’Expertises, a commercial diving company based in the south of France. Comex have a long-standing relationship with Rolex and have worked with them on research and development projects. Comex issued their divers with Rolex Subs and Sea-Dwellers, very often featuring the company logo on the dial. These watches have now become a collecting theme in themselves, as the stories behind each piece combined with the professional application make every watch unique. There were 34 Comex watches at Issued 3. It’s rare to see one Rolex Comex, but 34? That’s insane! Tudor was well represented with a number of French Marine Nationale pieces;I think I counted 13. There were also pieces issued by forces in South Africa, Canada, Jamaica and Argentinia. There were also some fantastic Tudor chronographs, from Homeplates to Monte Carlos to Big Blocks…all bases covered. All watches were welcome and there were some beautiful Rolex pieces with Middle East logos on the dial. Omani, Qaboos and UAE logos were out in force on Daytonas, GMT Masters and Sea-Dwellers. 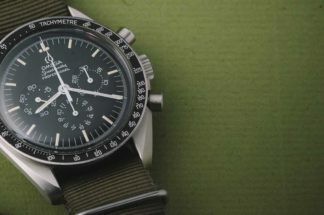 As well as the Wilsdorf House, there were some amazing watches from the afore mentioned Omega. I have never seen so many beautiful Speedmasters covering the full production run. If you like tropical Speedies, you would have been in heaven! The weekend comprised incredible watches, wonderful food, interesting venues and a group of very passionate and dedicated watch collectors. The atmosphere is always very relaxed at these events and certainly it is an ego-free environment where all are welcome to share their love of special watches. If only every weekend could be this much fun!